This house has been reduced to over $100000 less then tax value. Located at Albemarle Plantation in NE NC, you can watch the golfers from your living room window. Location is close to Pro Shop, Restaurant, Driving range or Pool. You may want to have golf cart to go to the Marina or tennis courts. There is a community Center and bocce courts as well as a place to launch your boat. Home has just had a new ROOF and hot water heater installed. Home includes 4 bedrooms, 3 full bathrooms, and an store space galore. Make an appointment to get to see this great deal. Perquimans Central Pre-School, Elementary School / Public N/A 9.54 mi. Hertford Grammar Elementary School / Public 5 8.4 mi. Perquimans County Middle Middle School / Public 4 10.25 mi. Perquimans County High High School / Public 4 8.03 mi. Tender Years School * Elementary School / Private N/A 12.38 mi. John A Holmes High * High School / Public 2 11.62 mi. 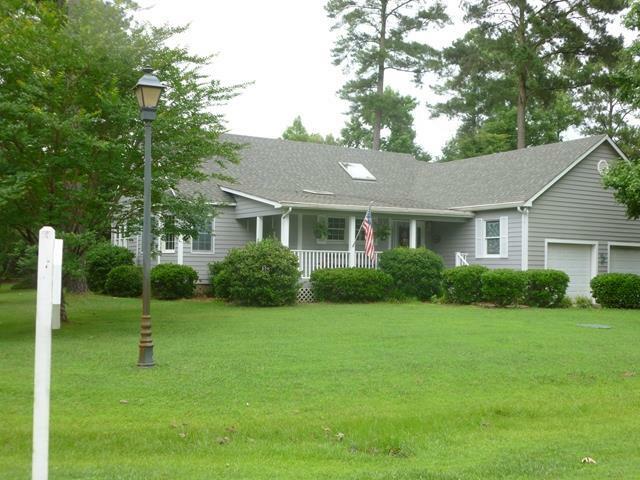 103 W Santee Circle, Hertford, NC 27944 is a 4 bedroom, 3 bath single family home was sold for $135,000.